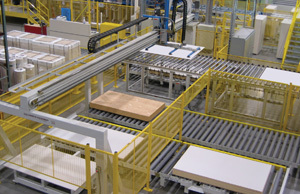 Material Handling Conveying Solutions by Creative Automation for the Wood and Related Industries – Creative Automation, Inc.
Creative Automation offers infinite conveyor system configurations, handling many different products. Systems are not generic, but are built exactly to custom specifications. Conveyor types include: belt, roller, chain, slat, gravity, air flotation, 90 degree transfers and telescoping. 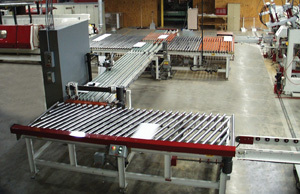 Complete panel stacking system which includes integrated conveyors for individual panels as well as entire stacks. 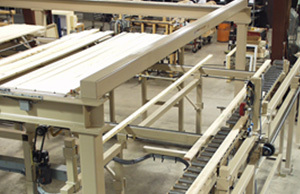 Comprehensive conveying system where singulating conveyors feed individual pieces of lumber, the size of each based on the run list.